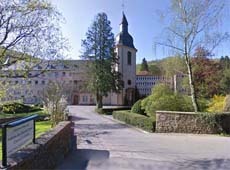 Clairefontaine is less than 10 minutes' drive from Arlon and from the Brussels-Luxembourg motorway. There are hourly trains to Arlon from Brussels (journey time approx. 2½ hours) and more frequently from Luxembourg (20 minutes).